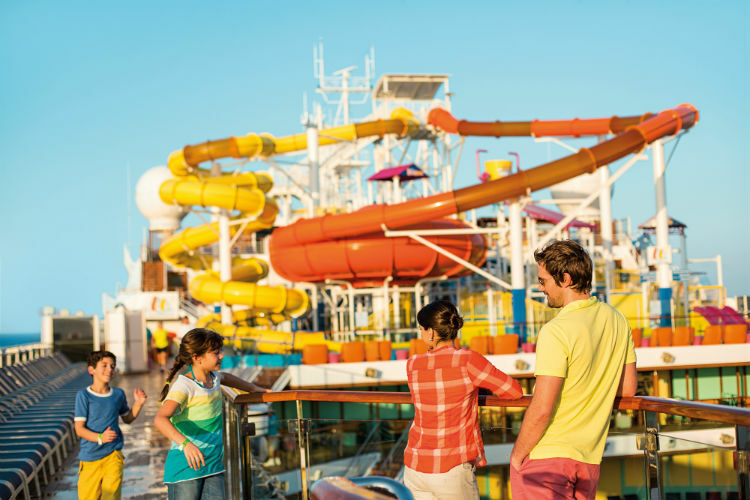 If there’s one thing to get right when choosing a family cruise, it’s the ship. Choosing a cruise ship which is jam-packed with facilities that your kids will love guarantees you a holiday your whole family will enjoy. Because, as we all know, if the kids are happy, then it’s very likely that the parents are too! Today’s mega-ships have hundreds of exciting activities for children to enjoy on-board. 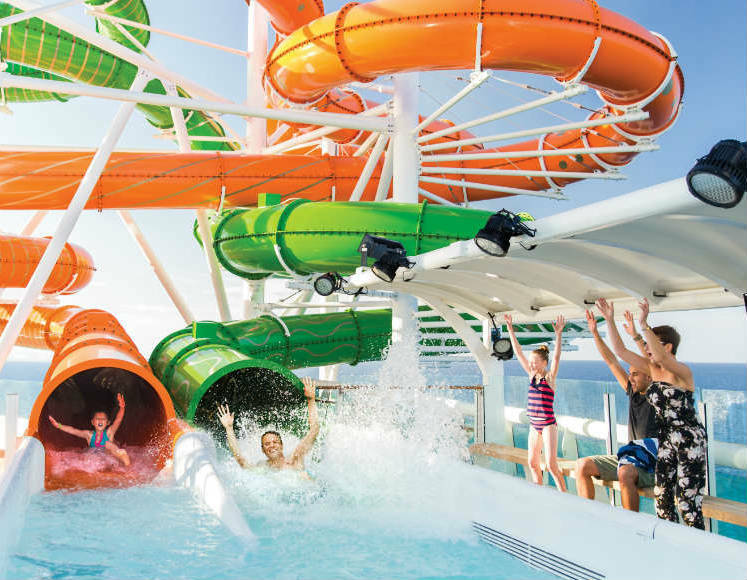 Royal Caribbean’s ships have seemingly endless activities for kids of all ages, including rock-climbing, the signature FlowRider surf machine, dodgems, ice skating, basketball courts and giant waterslides. Carnival is another cruise line which is very popular with families. On-board you can expect to find countless swimming pools, waterslides, spray fountains and, on Carnival Vista, the first ever IMAX screen at sea. Teens will love Celebrity Cruises’ classy ships which feature Xbox stations and mobile consoles, creating one of the best digital gaming experiences at sea. To read more about the facilities you can expect with each cruise line, read our article via the link below. The kids’ clubs on-board today’s modern cruise ships are amongst the best you’ll find anywhere in the world. Your children can be entertained throughout the day and often into the evening by a team of highly-trained, dedicated and energetic youth staff. While your little ones are off making new friends, you can relax – safe in the knowledge that they’re having fun. Should there be any need to get in touch, you get a beeper to alert you if needed. 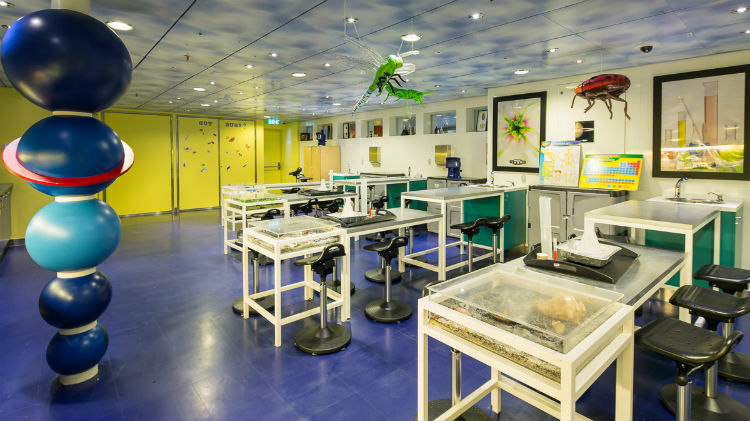 The amount of space dedicated to children’s facilities on-board Royal Caribbean’s Oasis-class ships is the equivalent of up to half a football pitch. The Adventure Ocean club has fantastic play spaces for various age groups, as well as a video arcade, a theatre and even a science lab! You can have breakfast with DreamWorks characters such as Kung Fu Panda and Shrek, as well as seeing them in parades. Hard-to-please teens will love the video games and there are even DJ classes available. 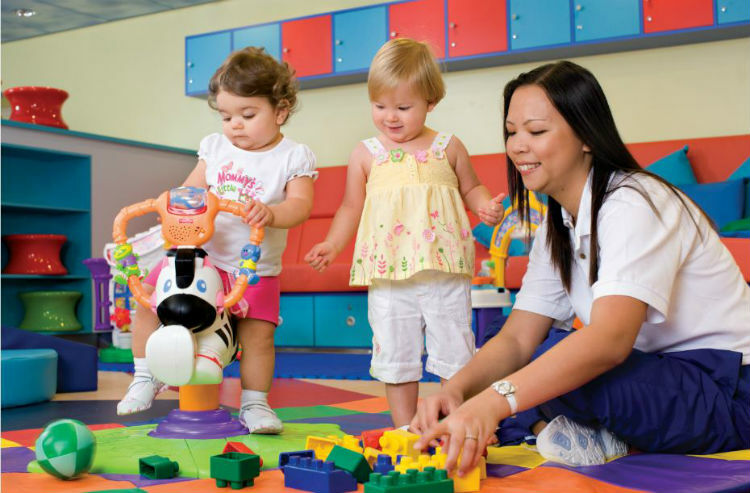 Catering to babies as young as six months, right up to 12-year-olds (teens have their own club), Norwegian Cruise Line’s Splash Academy has excellent facilities. The youngest tots can enjoy brightly-coloured play areas, while there are games consoles which are sure to keep older children happy. Children can also learn skills like plate-spinning and juggling and can even participate in an end-of-cruise circus show! 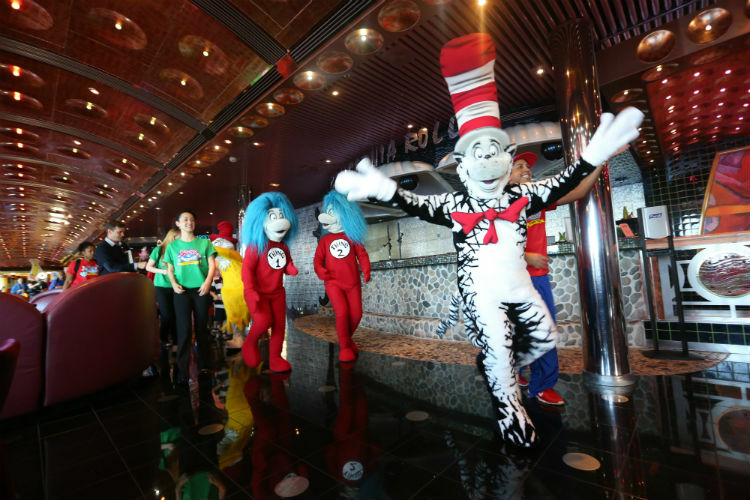 If your children are fans of Dr Seuss, they’ll absolutely love the kids’ clubs on-board Carnival cruise ships which have Dr Seuss themed spaces and events. They can even meet the characters from their favourite Dr Seuss books at themed breakfasts and during the parades. Add some scavenger hunts, arts and crafts and movie nights and your kids will have everything they need for a fab holiday. 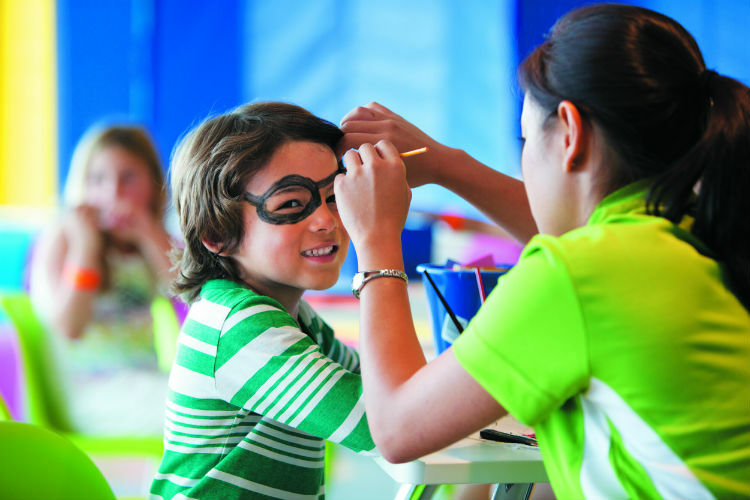 Some cruise lines offer group babysitting where children can play games, watch films, relax or sleep in the kids’ club. Certain cruise lines such as Cunard and P&O Cruises provide this service free of charge for babies and toddlers. On the ships which offer this for older children, it usually costs around $6 per hour, with discounts for siblings. Another option which is available with cruise lines including Celebrity Cruises and Holland America Line is in-cabin babysitting. In most cases two babysitters will arrive to take care of your little one(s). If they’re not asleep you can let them know how you’d like them to entertain your children. The cost for this varies from $10-$19 per hour. Whichever type of babysitting suits your family, you should bear in mind that the age restrictions vary per cruise line and there are rules around nappies and feeding. In any case, you’ll be given a bleeper so that you can come back if they need you. Babysitting is usually on a first-come-first-served basis, so make sure you book in advance if it’s something you’re keen to do. The best cruise destinations for your family will generally depend on your children’s age and what they like to do. While younger tots might be quite happy anywhere they can make use of a bucket and spade, teens might be more likely to seek out thrilling activities to keep them entertained. In the Caribbean you’ll find lots for all ages to enjoy, from swimming and snorkelling to zip-lining and cave tubing. For a short-haul alternative, you’ll find much for children to enjoy right here in Europe. Visit Hamburg’s Miniatur Wunderland and see the world’s largest model railway; take a tour of Amsterdam by boat or bicycle; or head to Rome and educate your brood with tours of the Vatican or the Colosseum. There’s also plenty of theme parks to pick from across Europe to take your young ones. With a fantastic kids’ club and a host of family-friendly shore excursions featuring treasure hunts, water parks and beaches, British cruise line P&O Cruises has a lot to offer children. 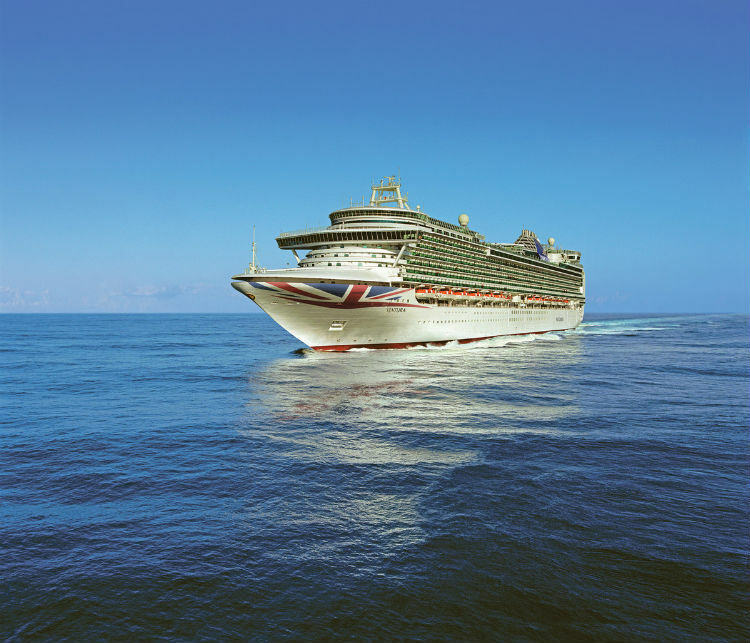 Of P&O Cruises’ fleet, Azura, Britannia, Oceana and Ventura all allow children on-board and have a great family vibe. P&O Cruises ships are particularly great for the under-fives, with a free Night Nursery open from 6pm until 2am and a kids’ club which accepts children as young as two-years-old (on most other cruise lines it’s three). Staterooms up to four people, with interconnecting rooms and family suites available to cater for larger families. Royal Caribbean’s Independence of the Seas is always a huge hit with British families, even more so since her recent refurbishment. Popular additions include the Skypad – a virtual-reality bungee trampoline, as well as an escape room game, a laser tag arena and two amazing new water slides. With up to 1,400 children on-board at any one time, you’d be forgiven for thinking that things could get a little chaotic. But in reality, that’s not the case at all, as the youth team do such a great job of organising activities in the age-specific kids’ clubs. 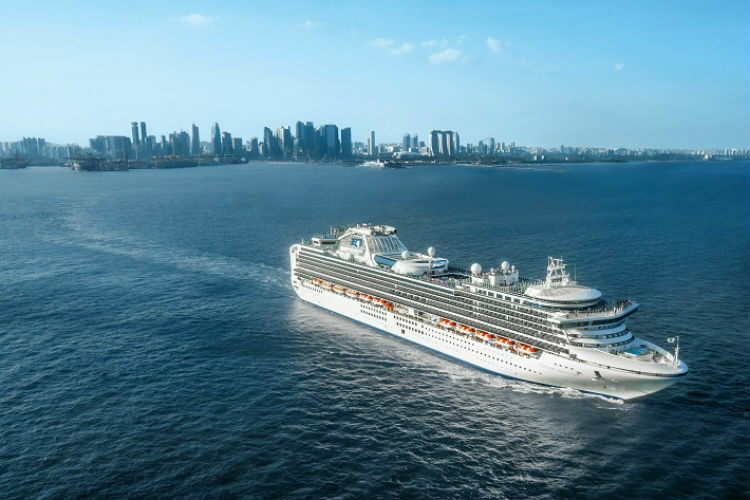 Princess Cruises isn’t necessarily the first cruise line that people think of when it comes to family cruises, but the offerings on-board Sapphire Princess are spectacular. The ship was refurbished in 2018 and benefitted from a complete overhaul of the children’s facilities. High up on deck 15 and flooded with natural light, Camp Discovery is the perfect mix of fun and education. There’s an outdoor play area and a splash pool for children to enjoy, as well as giant Connect4, air hockey and a soft play area. Teens can enjoy free mocktails in the teen hangout which is designed to look like a trendy nightclub. Hopefully this article will have given you lots of information to help you to choose a cruise ship which your whole family will love. If you’d like any further assistance in choosing a cruise, or have any questions at all, please don’t hesitate to give our Cruise Concierge team a call on 0808 1234 118.
planning on taking a cruise with the grandchildren for 5-7 days early April. Would like it warm as they love to swim. Husband aged 70, I’m 66 and the grandchildren are 7 and 9. Would want a family room or suite. Would not want to have girls in a separate room even if it’s next door, unless it’s adjoining. Never been on a cruise before so looking for all the help I can get. Thank you. mention that my two daughters work for the NHS and could be entitled to a discount. Hi Irene, thank you for your enquiry. 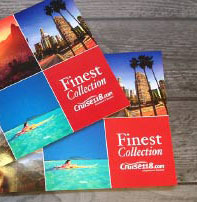 I’ve passed your details on to our Cruise Concierge team who will be in touch with more details. Thanks, Emma. Hi there, I have recently become a single mum with a 7 year old son. Do you get many single parents on cruises and what would be the best for us, along with prices if possible. Thank you. Hi Clare, cruises are perfect for single parents looking to cruise with their children! There are plenty of activities for you to enjoy family-friendly fun, from water parks and Broadway-style shows to exciting dining venues and kids’ clubs. I’ve passed your details on to our Cruise Concierge team who will be in touch with more details. Thanks, Emma. Hello Andrea, I’ve passed your details on to our Cruise Concierge team for them to get in touch with more information. Thanks, Emma. Hello Andrea, I’ve passed your details on to our Sales Team for them to get in touch with more information. Thanks, Emma. Hi Rose, I’ve passed your details on to our Cruise Concierge team for them to get in touch with further information. Thanks, Emma. Hi Lyn, thank you for getting in touch. I’ve passed your details on to our Cruise Concierge team who will be in touch with more information on your enquiry. Thanks, Emma. Hi Emma, thank you for getting in touch. I’ve passed your details on to our Cruise Concierge team who will be in touch with more information for you. Thanks, Emma. Which cruise lines offer singles and solo cruises?